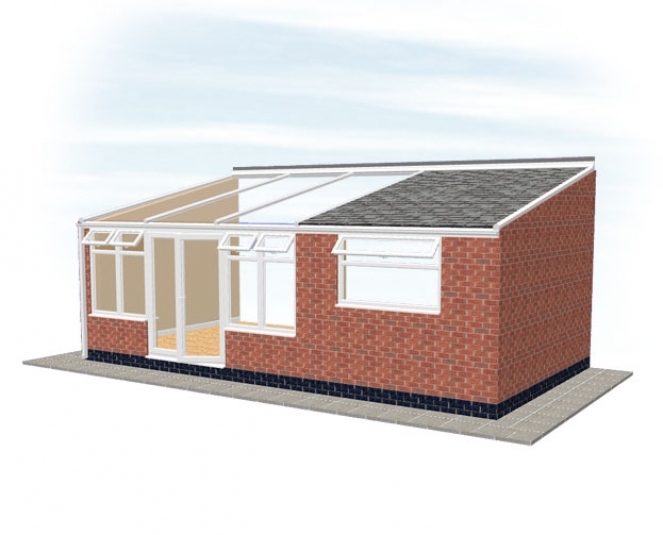 The Multi House Extension provides an extra 21 sq ft of valuable living space to your home. 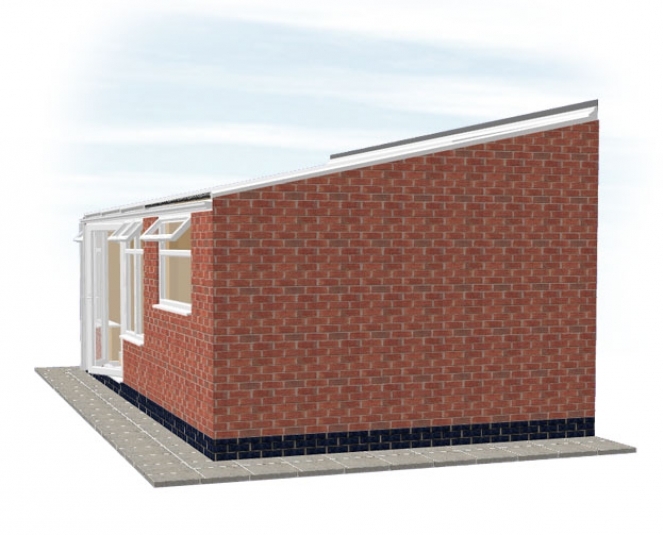 With a 3 metre projection from the wall and a 7 metre width, this extension is one of the largest in our range. 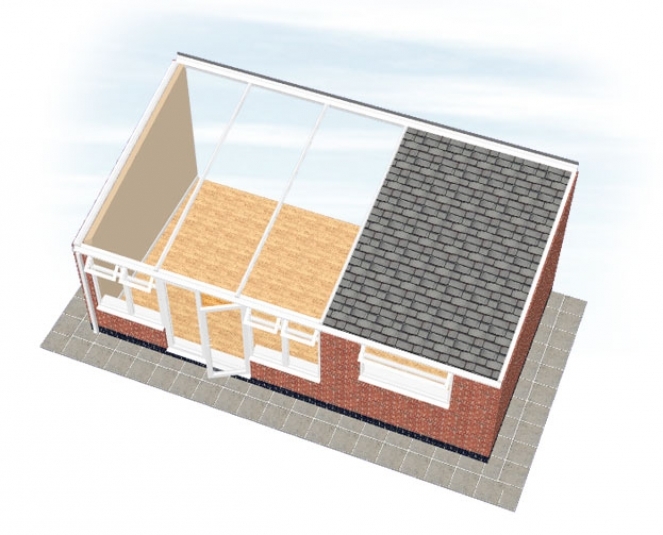 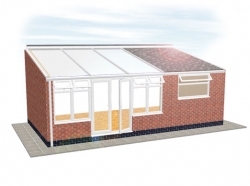 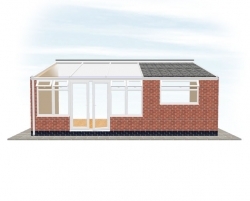 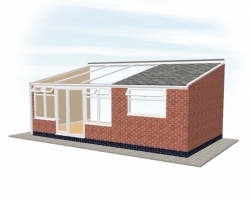 This particular design has a 4 metre sun room with a Celsius glass roof and a 3 metre wide kitchen extension with a Metrotile roof system that is guaranteed for 40 years. The configuration can be changed to provide the kitchen extension to the left and the sunroom to the right and comes complete with a partition wall between the rooms.